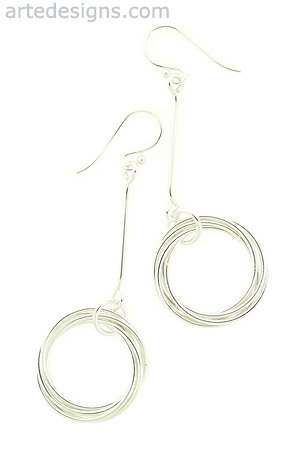 These modern and fun circle clusters will add sparkle and style to your look. Circles are approximately 3/4 inch. Earrings are just over 2.25 inches long. Entire earring is sterling silver.